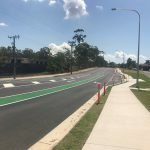 The Project’s aim was to reduce vehicle travelling speeds along Primrose Avenue, Rosebery by narrowing the travel lanes. This was accomplished by constructing five tree pits in the centre of the road. 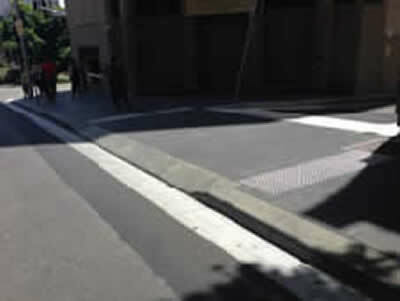 The Project involved upgrading the footpath with granite pavers along Hunter Street in the Sydney CBD. 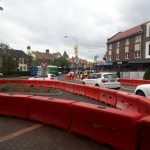 Due to Hunter Street becoming a clearway in the afternoons, and busy trading Monday to Saturday for local businesses, all works were performed over three Sunday shutdowns. 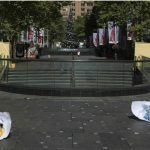 The Project was located at one of the major bus stops in the Sydney CBD, and was near the main entrance to Wynyard Station. 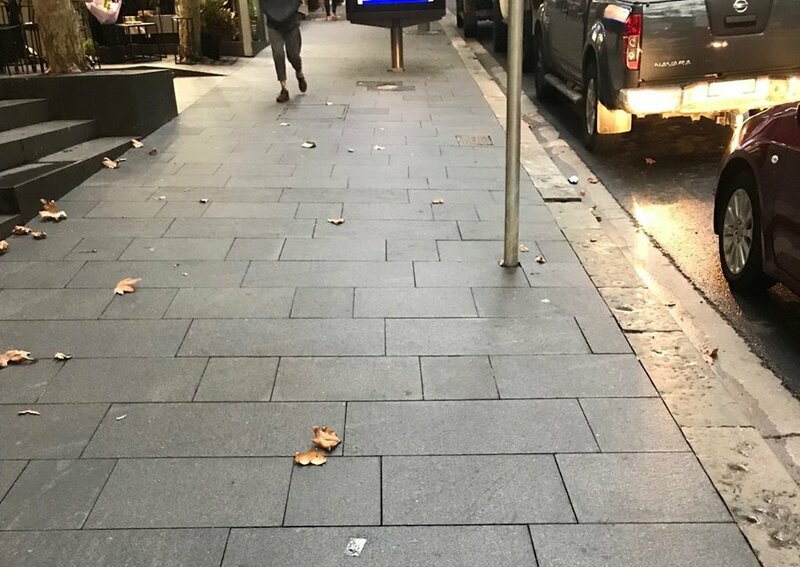 The Project involved the installation of granite paving and kerb realignment along the western side of Carrington Street in the Sydney CBD. Works were required to be undertaken outside of peak hours. 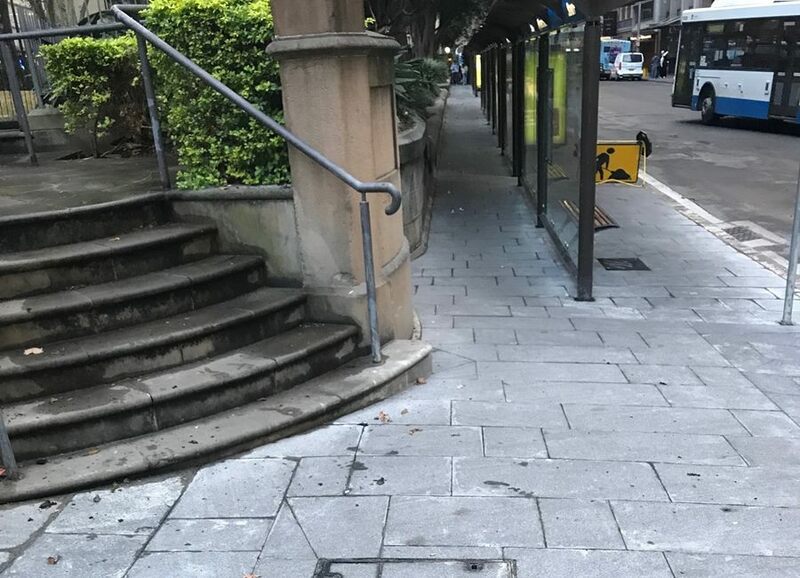 Maintaining access to all bus stops, along with working within a very narrow footpath with multiple obstructions was a challenge. 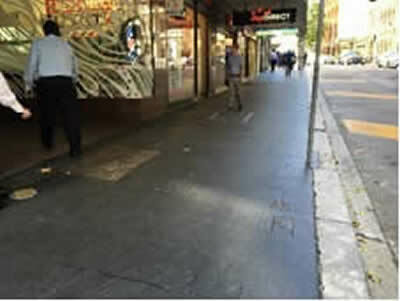 The Project involved upgrading the footpath with granite pavers along Spring Street in the Sydney CBD. Works were scheduled around the business hours or nearby stakeholders, with over 50% of the Project being completed over weekend shutdowns. 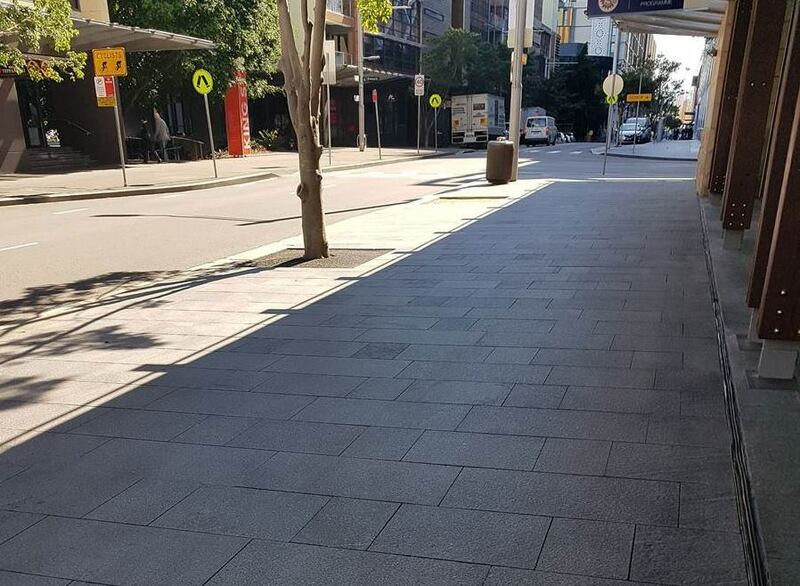 The Project involved upgrading the footpath with granite pavers along Lime Street in the Sydney CBD. 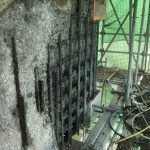 All demolition on the Project was performed by hand due to the work area being situated on a suspended slab which had operational businesses located beneath. 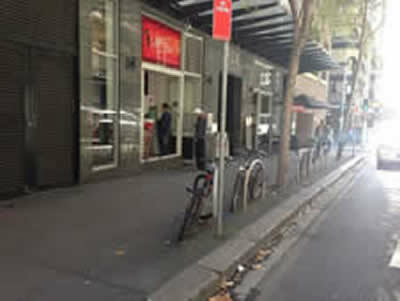 Noisy works were coordinated with adjacent hotels, residential apartments and businesses. 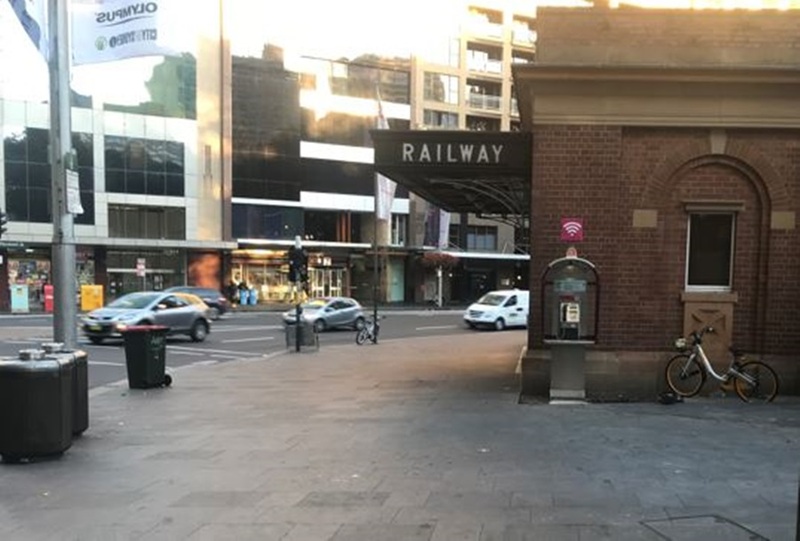 The Project was part of the Museum Station upgrade located on the south-western corner of Hyde Park, and involved the installation of granite pavers around the Station. 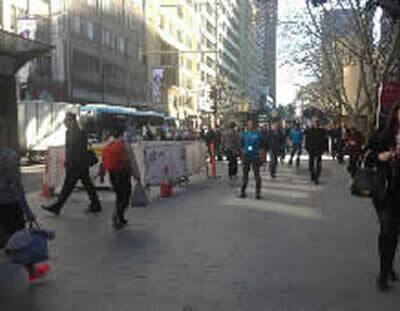 Works were performed in very small stages to minimise impact to pedestrian movements. Deliveries and spoil removal were performed via use of a vehicle turntable, to minimise disruption to traffic along Elizabeth Street. 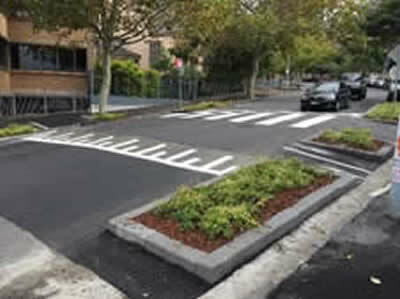 The Project involved the reconstruction of existing footpath and driveways from asphalt to granite pavers. 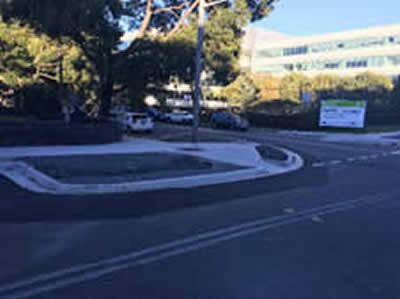 The Project involved the widening of all four corners of this intersection, new concrete kerb and gutter and concrete footpaths, the installation of custom storm water pits and 375mm RCP pipes, and the installation of rain gardens and garden beds. 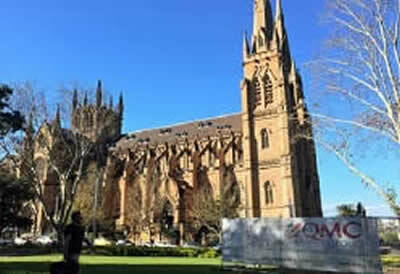 The Project involved works in Hyde Park, one of the busiest and most prestigious parks in Sydney. 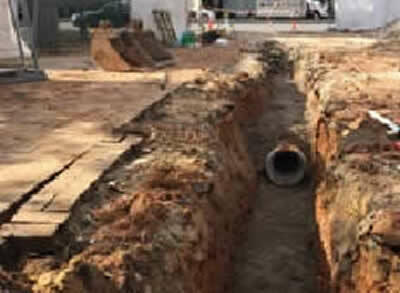 Works involved non-destructive digging to ensure protection of tree roots, installation of sewer and water lines, the replacement of sewer pumps, and reinstatement of all disturbed areas. 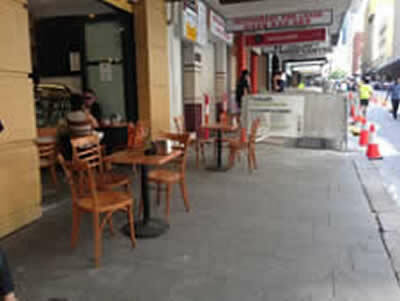 The Project involved the construction of a raised threshold/footpath continuation along William St. In addition, works included the installation of a concrete-encased 300 FRC stormwater line, the construction of rain gardens and garden beds, and a new asphalt footpath. 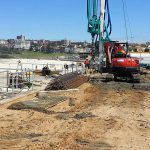 The Project was an early stormwater works package for future works on Newcombe St.
Works involved the installation of 375mm RCP, concrete-encased 225mm PVC pipes and new storm water pits. In addition, a lot of the works involved service investigations so the design could be revised. 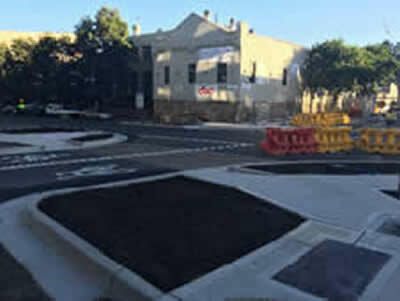 The Project involved the construction of median islands and raised thresholds in various locations along St Marys Rd, Sydney. 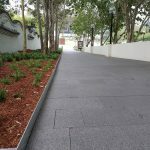 The Project involved approximately 100m2 of granite paving between George St and York St, which was completed over one possession weekend. 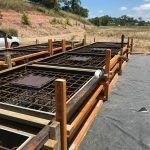 The Project involved the installation of a new stormwater system including 375mm RCP, concrete-encased 225mm PVC pipe, ACO drains and additional stormwater pits. 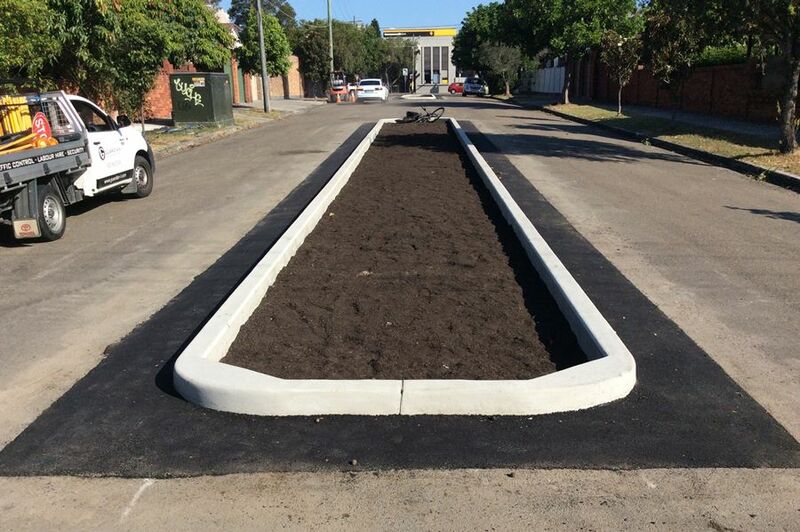 In addition, new concrete driveways, footpaths and kerb and gutter were installed. Due to Stewart St being a narrow, one-way street, the works required a traffic detour and contraflow on the surrounding streets. 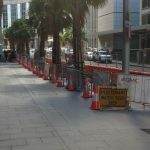 The Project involved the demolition and excavation of existing asphalt footpath, the construction of a reinforced concrete base for paving, and laying of granite pavers. 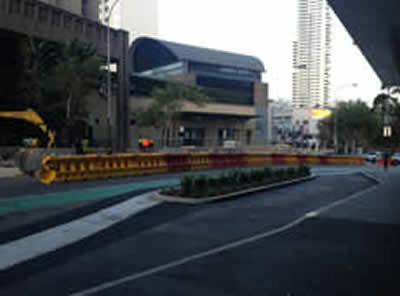 QMC liaised with STA Buses regarding the staging of the works due to York Street being the busiest bus stop in Sydney. The Project involved the reconstruction of an existing set of stairs and installation of a new handrail and steel panels above a cliff face approximately 15m high. 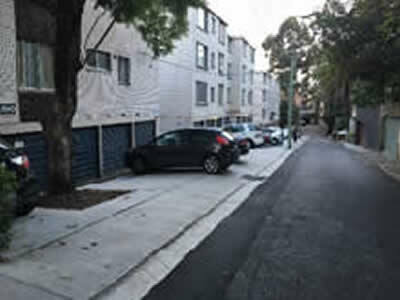 The Project involved the demolition and excavation of existing footpath pavement including three driveways to heavily used carparks (including a Wilson Carpark and two multi-storey apartments), and concrete and granite paving works. 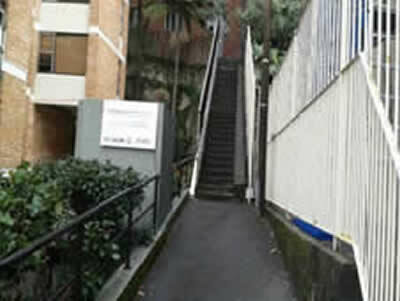 QMC Group was required to maintain 24 hour access along the footpath and into businesses and residential apartments. Access to these businesses and properties was maintained at all times. 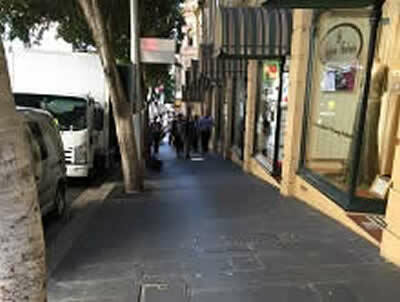 The Project involved the demolition and excavation of existing footpath pavement and construction of a granite paved footpath continuation across Pennys’ Lane, and a widening of the footpath up Kings Cross Rd which was a mix of granite and concrete unit pavers to tie in with the existing pavements. 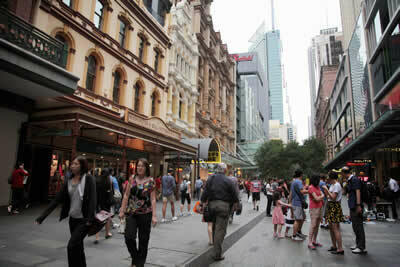 The Project involved a footpath upgrade on Pitt Street, which is one of Sydney’s busiest pedestrian walkways. QMC Group demolished the existing pavement while protecting the in-ground light wells, and installed new granite pavers. Even though the expected duration was 8 weeks, QMC Group was able to complete the Project in less than 4 weeks. 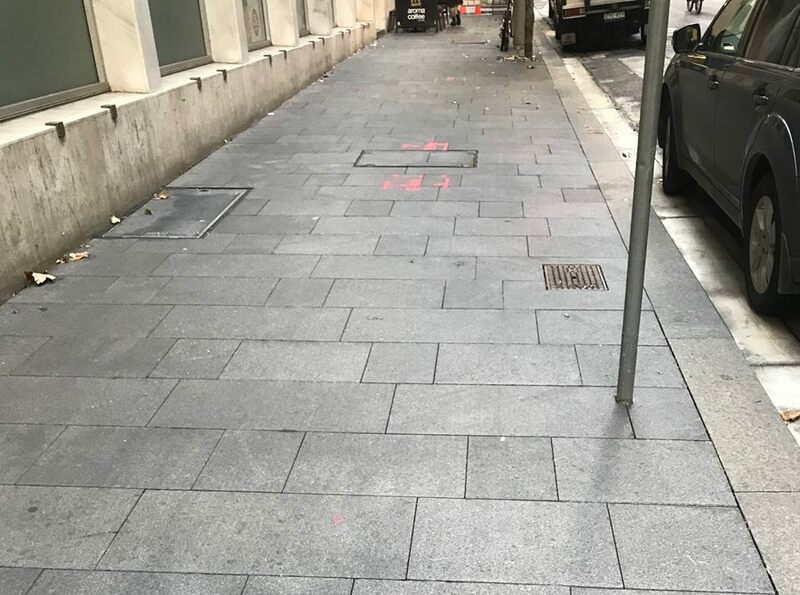 The Project involved a footpath upgrade on Bathurst Street from brick to granite pavers, as well as constructing a raised footpath continuation across a small laneway. The Project was undertaken outside the Park Royal Hotel, and our Community Liaison Officer worked closely with their management to ensure that noisy works were coordinated with their bookings. The Project was completed on time and received positive feedback from the Hotel. 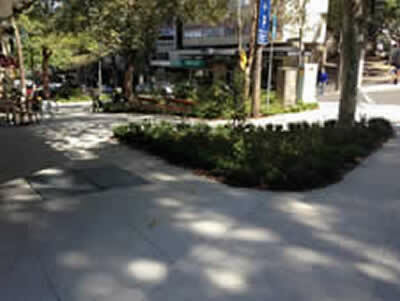 The Project involved the demolition of an existing park in Potts Point to construct a new paved brick seating area. 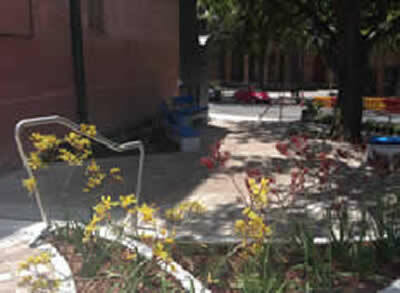 Concrete stairs and architectural concrete seats were constructed, and pavers were laid in a radial pattern around the existing tree which was retained. 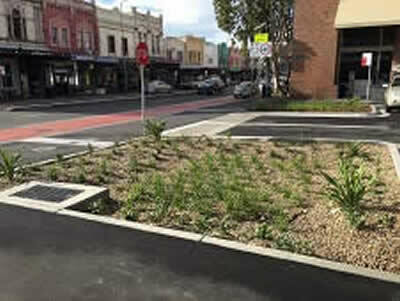 The Project involved the construction of new blue stone kerb and concrete gutter, concrete and asphalt footpath, and the installation of street furniture and garden beds. It also involved a stormwater and traffic signal upgrade.